Hello! Today's card features a wedding card. 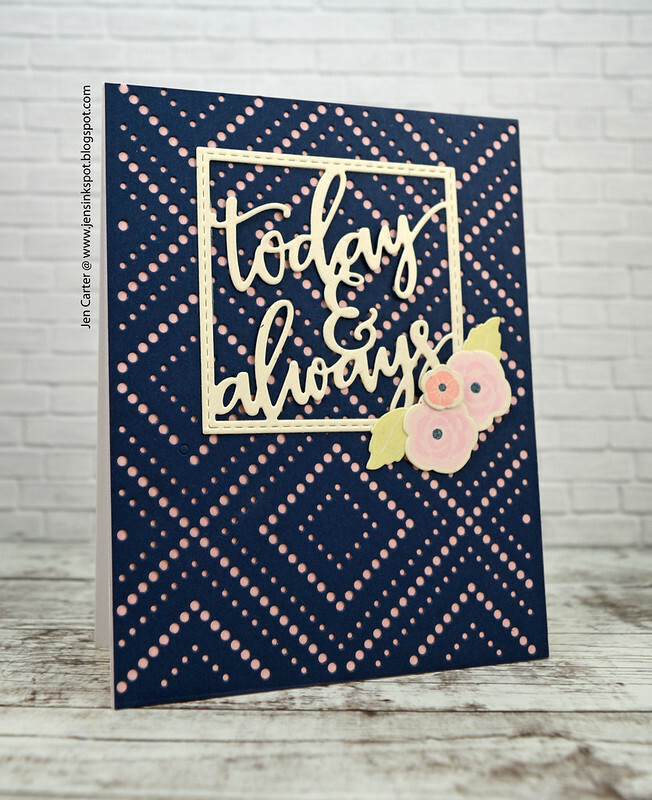 I started by using the super creative and beautiful Cover Up Die: Diamond Lace from Lil' Inker Designs and then backed it with pink cardstock. Tip: If you'd like to see an easy and quick way to get all of those little circles out of your cardstock after you cut it, you can watch my video here: https://youtu.be/3XQS3_E__b8. I then die cut the Today & Always Greeting Die from ivory cardstock for the focal point. 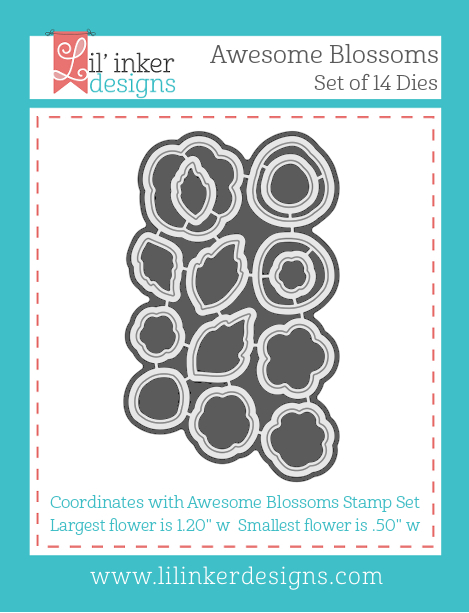 The flowers are die cut and stamped using the Awesome Blossom stamps and coordinating dies. 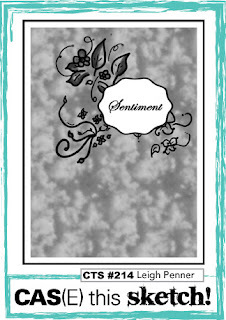 I'm entering this in the CAS(E) this Sketch Challenge #214 to use the following sketch. Welcome to Day 2 of the 400th Birthday Challenge celebration at Cupcakes Inspirations! We will be celebrating all week long with different sponsors and you will have a chance to win! All of the details, including prize information, can be found on the Cupcakes Inspirations blog. I hope you'll play along! Today's sponsor is Stamplorations. 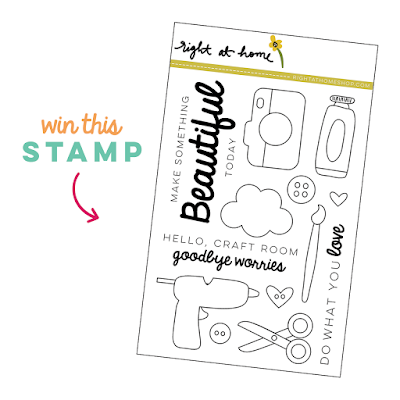 Be sure to check out their line of stamps, dies, stencils and more! The challenge this week is to make a birthday card but to also choose a past theme of your choice to use WITH the birthday card. Please note in your post which previous challenge you used. You can see all of the previous challenge graphics HERE. 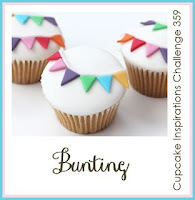 For this card I used the previous challenge theme of "bunting" on my card. 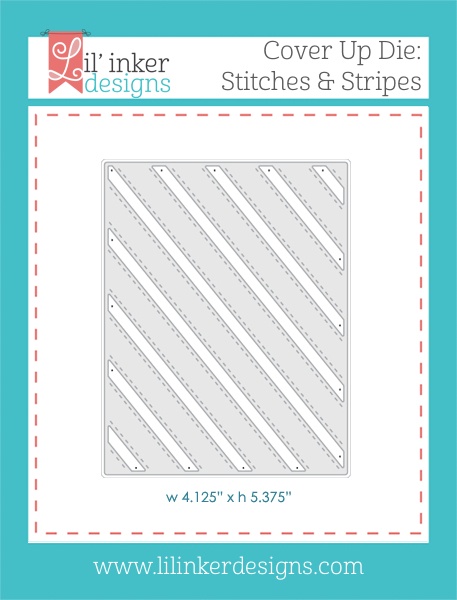 I started by cutting my white panel with the Gina Marie Designs Scalloped Stitched Nested Rectangle Dies. 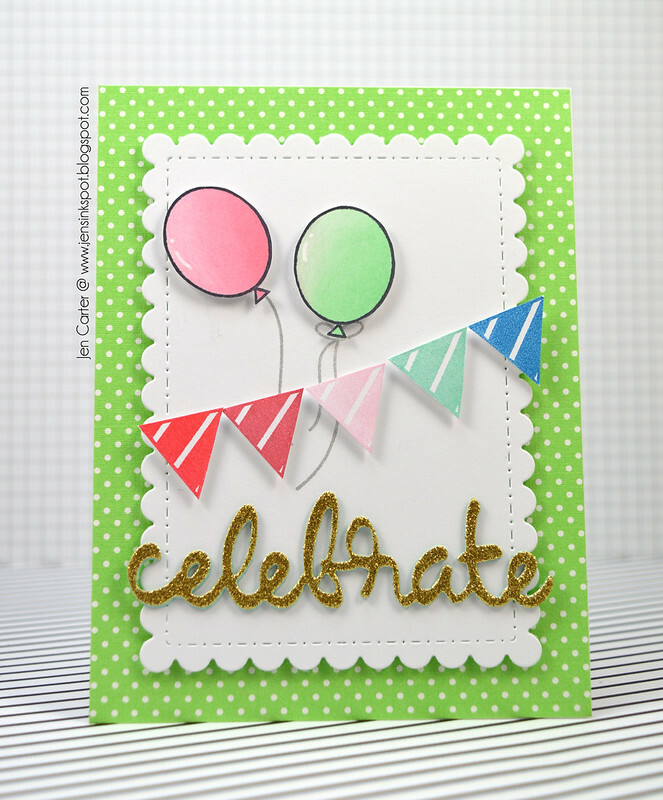 I used a couple colors of the Tim Holtz Distress Oxide inks to color my balloon backgrounds on scratch paper. Then, I stamped that with the Stamplorations Balloons & Banners stamps and cut them out. I stamped the balloon strings and then popped the balloons up with foam tape. I then stamped the bunting, also from the same stamp set, and cut them out. I die cut the Celebrate Word die first with gold glitter paper and then twice more with an aqua cardstock and layered the pieces together to create dimension. Remember the challenge this week is to make a birthday card but also to choose a past theme of your choice to use WITH the birthday card. Please note in your post which previous challenge you used. You can see all of the previous challenge graphics HERE. Be sure to visit the Cupcake Inspirations blog each day to see the newest sponsor. 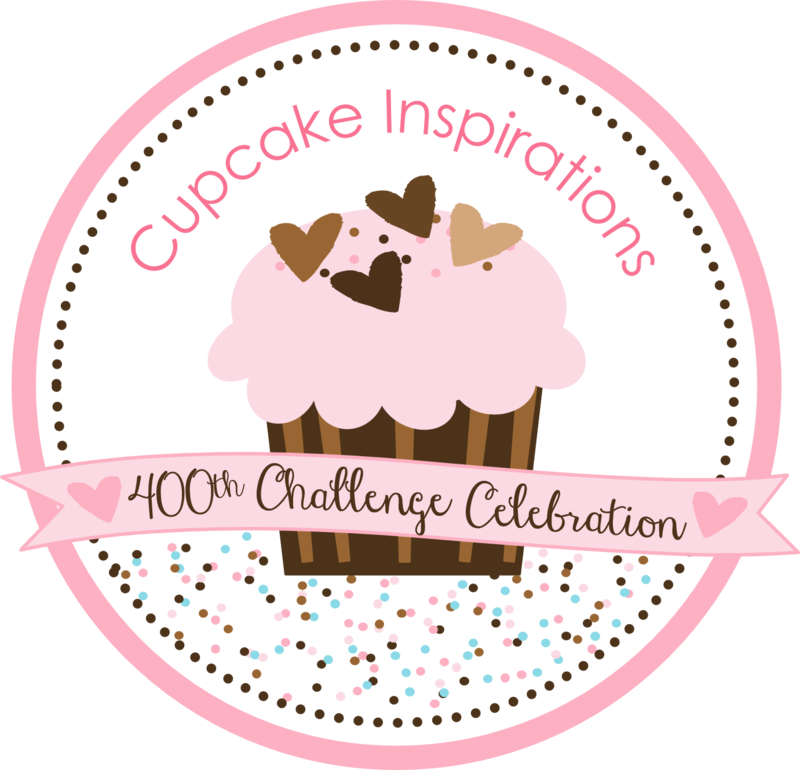 I hope you'll join us this week for the Cupcake Inspirations Challenge #400 birthday celebration! 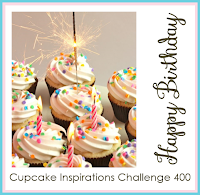 Welcome to the next Cupcake Inspirations Birthday Challenge #400! This entire week the design team will have some fun posts in celebration of the 400th challenge! 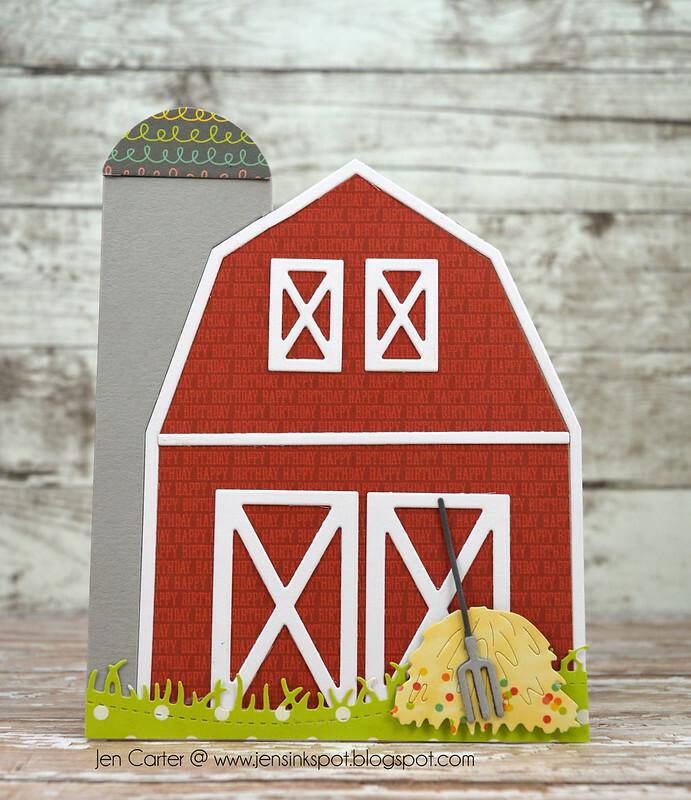 This week the challenge will be to find one of your favorite challenge themes (you can see them all here) and make a birthday card using that theme. Please be sure to share what inspiration photo you are using for your card and be sure it is a birthday card. All of the details, including prize information, can be found on the Cupcakes Inspiration blog. I hope you'll play along! 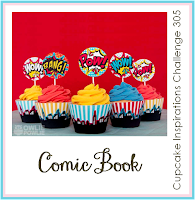 For my birthday card, I chose Cupcake Inspirations Challenge #305 that was a comic book theme. 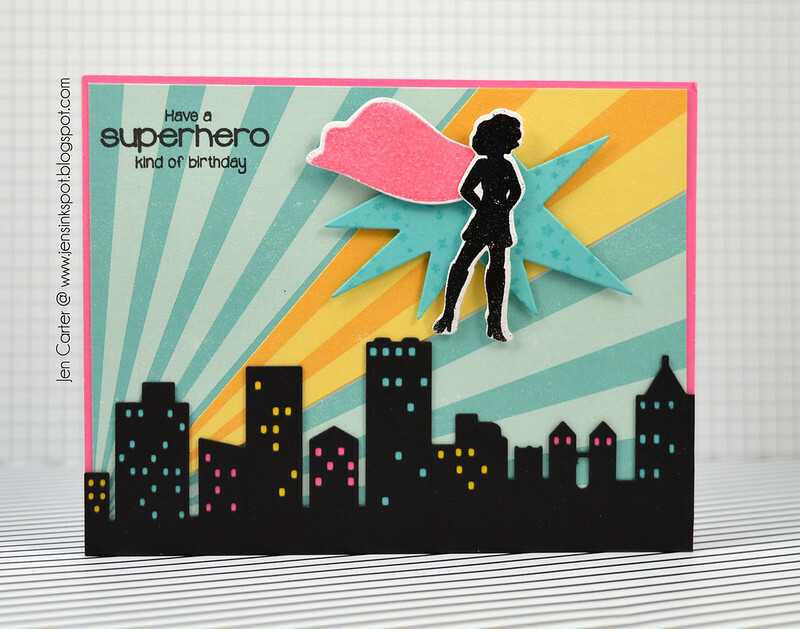 I pulled out Frantic Stamper's Superhero's stamp set for the superwoman and cape and embossed both of those images onto the matching Superhero Outlines die cuts. I also die cut the Cityscape die and used bright colored cardstock behind the die cut to make the windows pop. The sentiment is from Super Sayings Stamp set that I love! Here is this week's graphic, but don't forget to search the Pinterest board to find a theme you'd like to include along with the Happy Birthday theme! 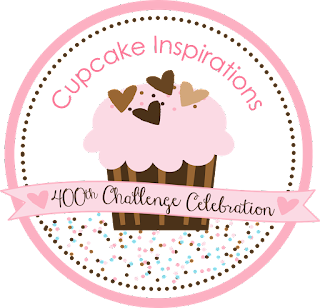 I hope you'll join us this week for the Cupcake Inspirations Challenge #400! I hope you'll stop by tomorrow when I share another card for this birthday celebration from another great sponsor! 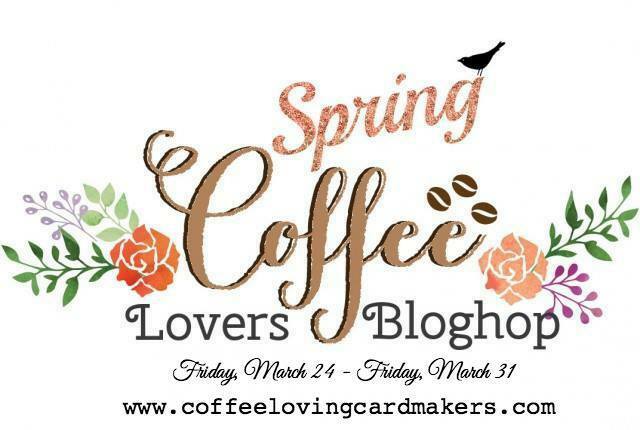 Welcome to the Spring Coffee Lovers Blog Hop! This is a hop full of Spring inspired coffee cards. If you'd like to start at the beginning of the hop and see all the details, including giveaway info, please visit the Coffee Loving Cardmakers blog. 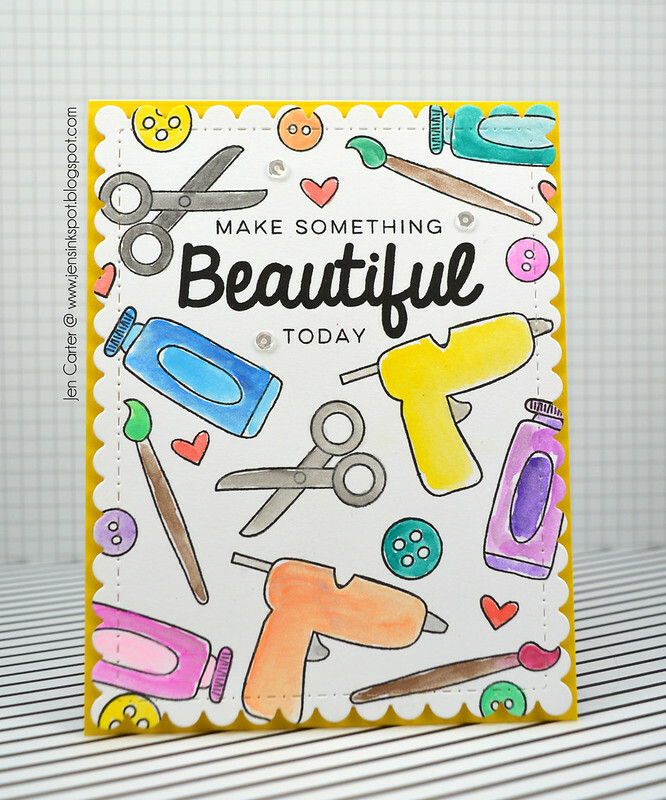 I wanted to use bright Springy colors for this card (as you can tell, LOL!). I started by piecing my background together. I first die cut the Lil' Inker Designs Cover Up Die: Stitches & Stripes in several colors and then pieced the colored stripes in between the white stripes. 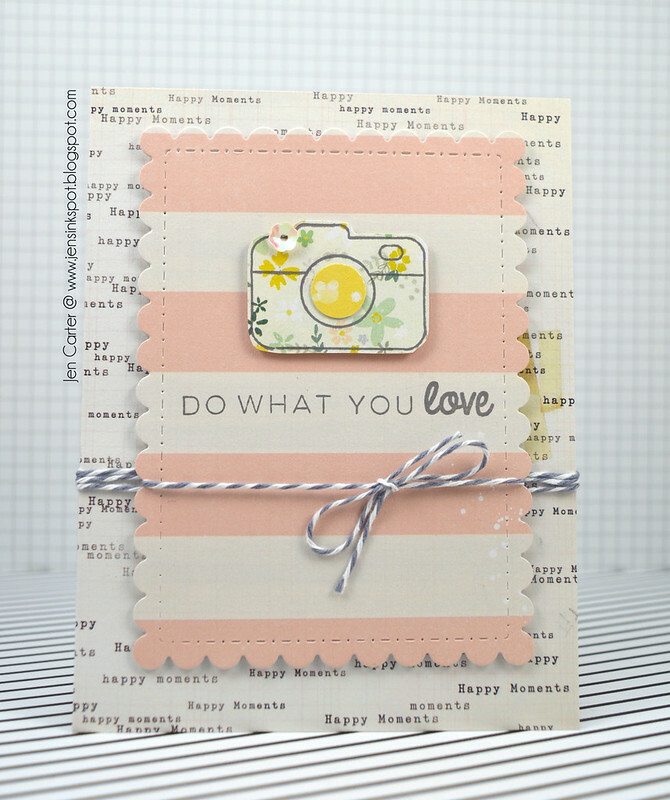 I love the versatility of this die and how easy it is to add color (or not) and change things up! I next focused on my image panel. 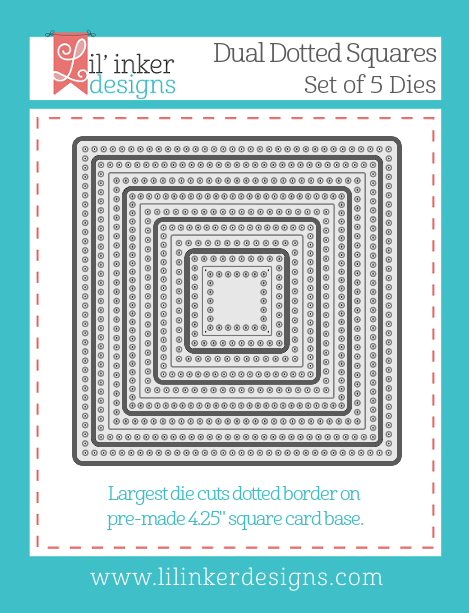 I used one of the Dual Dotted Squares dies to die cut the white square. 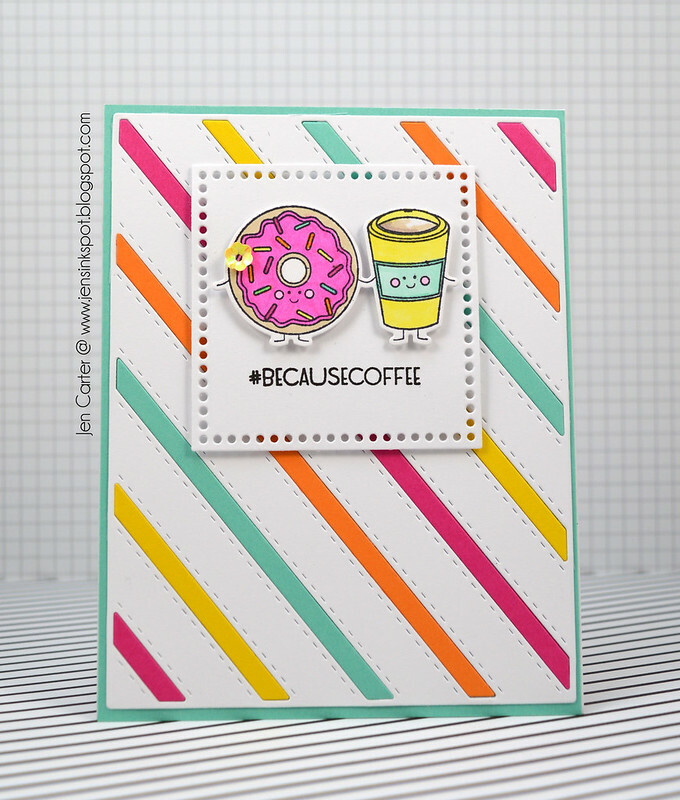 I then die cut and stamped the donut and coffee dual from Perfect Pairs (you can find the coordinating Perfect Pairs Dies here) and colored them in with my copics. The yellow cup was inspired by Starbucks new Spring yellow cups! I thought that the sweet little donut needed a yellow flower in her icing too. 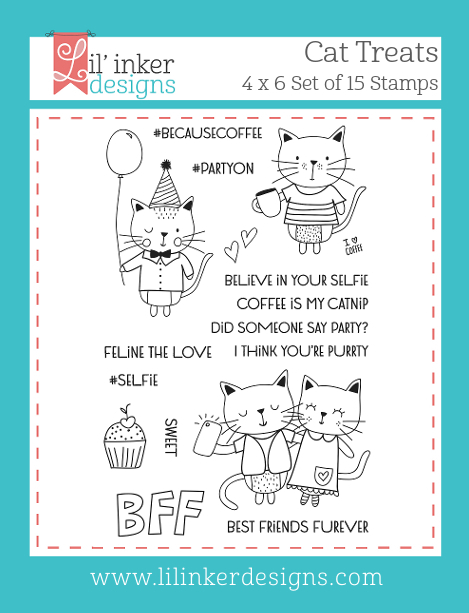 😄 Lastly I added the sentiment that is from the Cat Treats Stamp set (there is a cat with a coffee in that set too, check it out!). 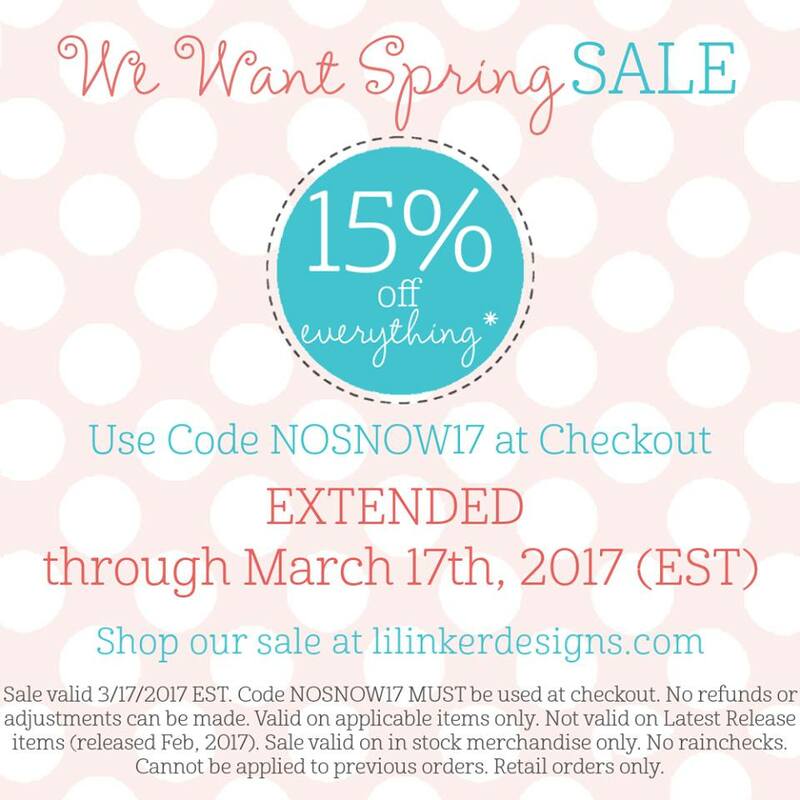 It's time for another sale at Lil' Inker Designs! Everything is on sale, excluding the latest release! Enter code NOSNOW17 to get 15% off of your order now through March 16th! Click HERE to shop (and save)! 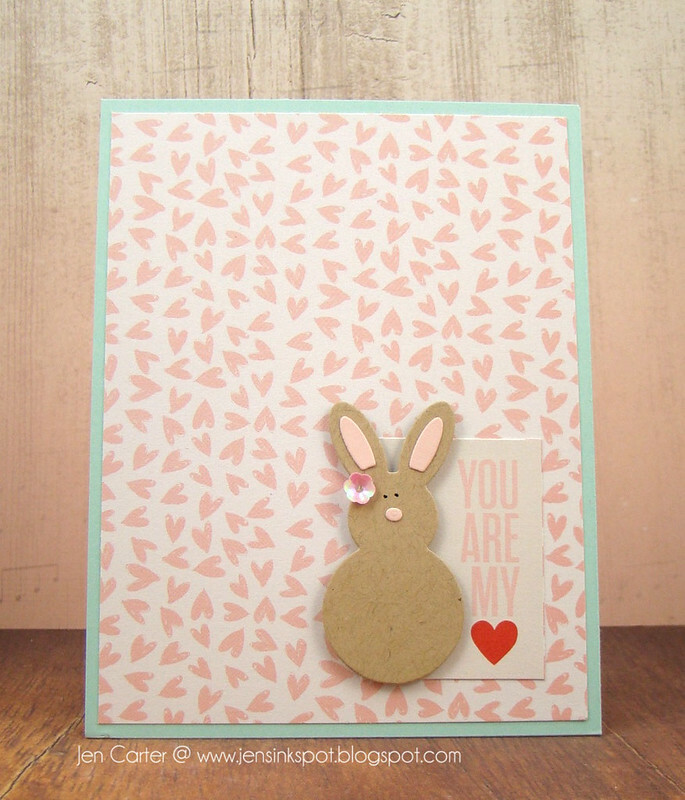 With Easter on the horizon I thought I would share a cute and simple bunny card today. 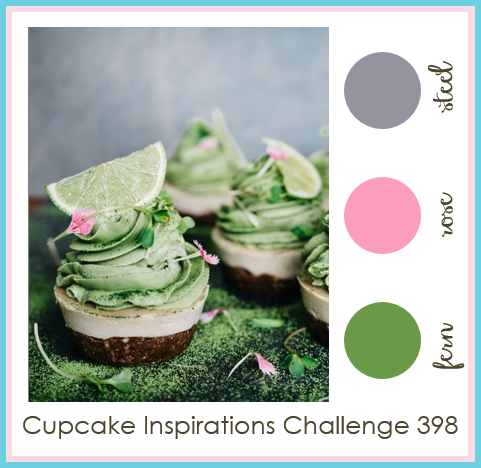 Welcome to the next Cupcake Inspirations Challenge #398! 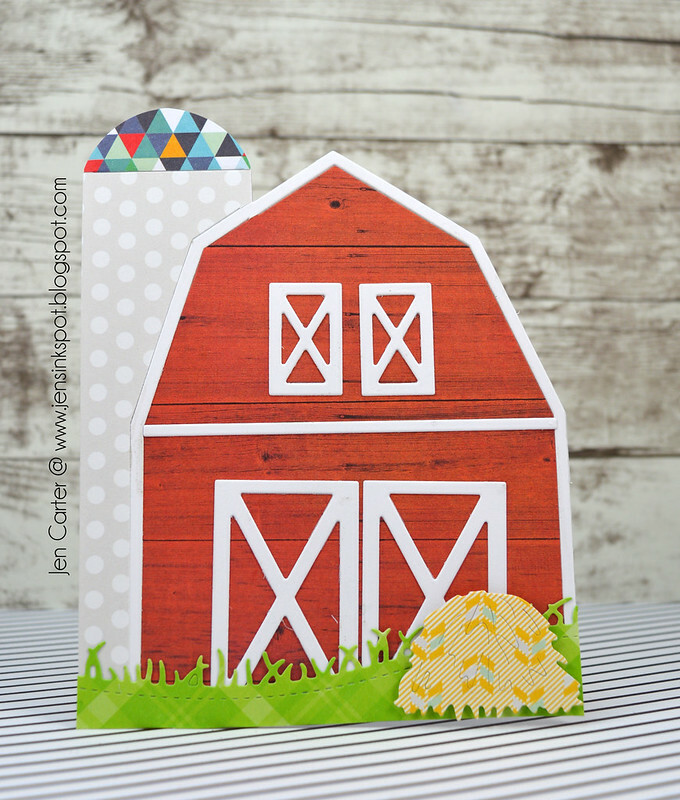 This week the challenge is to use the provided color scheme (shown at the end of this post) on your card or project. Our sponsor this week and the prize is from DRS Designs. 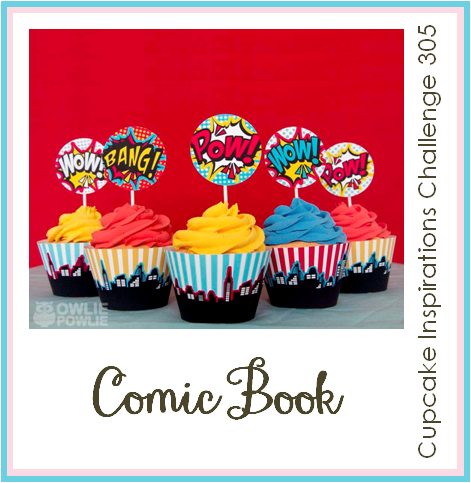 All of the details, including prize information, can be found on the Cupcakes Inspiration blog. I hope you'll play along! For this card I started out by die cutting the frame. I used LID's Stitched Mats: Double Stitched Rectangles so I could get the stitching on the outside of the frame as well as the inside of the frame. 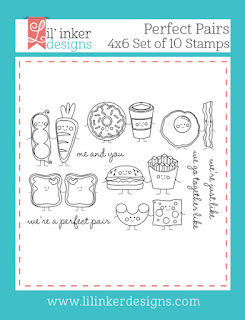 Then, I took out the inside piece and used DRS Design's Open Plaid stamp to stamp the lines in gray. Then on top of that I stamped the Large Open Silhouette Butterfly image. 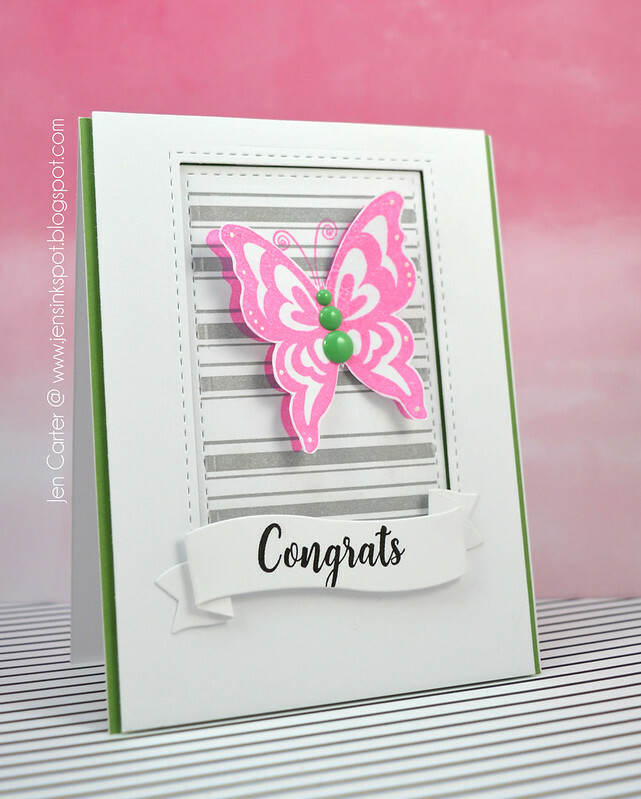 I stamped the butterfly a second time on a piece of scrap paper and then cut around the outside of it. I added a few white dots with a white Kirarina Wink pen and then placed three green enamel dots in the middle. 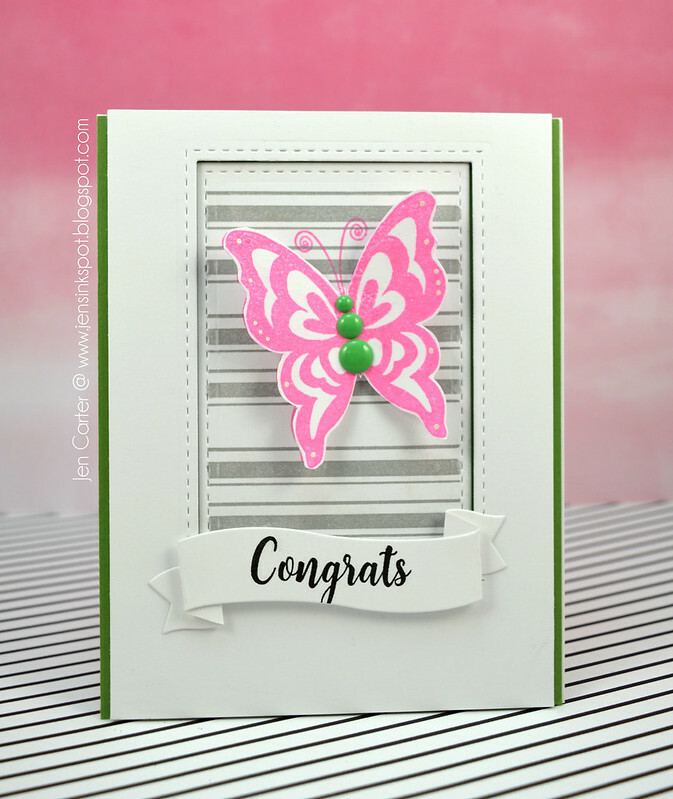 I added a small strip of foam tape to the middle of the butterfly and placed it on top of the image I had stamped on the striped paper to give it a 3d look. Here you can see the stamped butterfly underneath the popped up butterfly. I also popped up the entire white frame piece and left the striped piece flat on the card base. 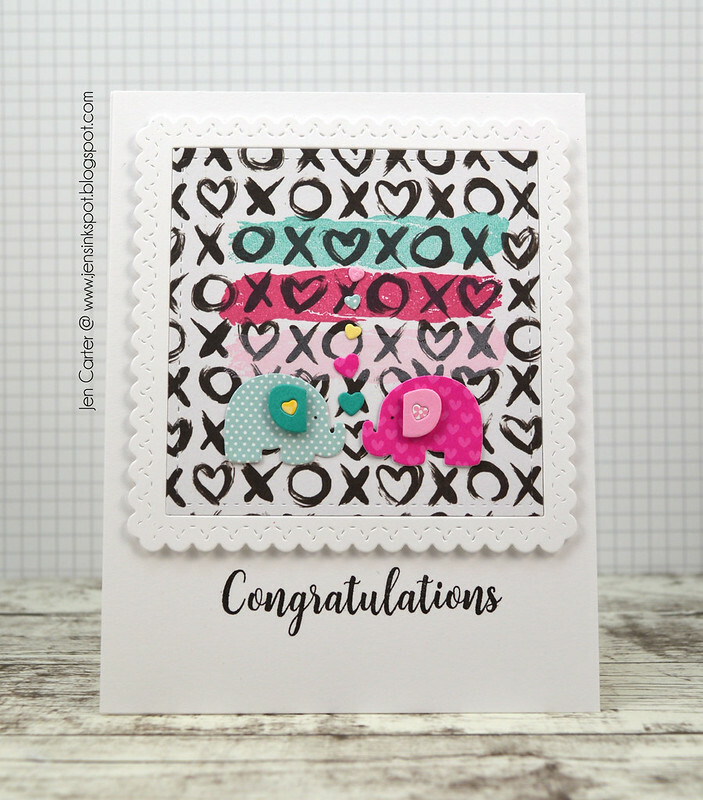 For the sentiment I die cut Frantic Stamper's Wavy Banners and then stamped the Congrats sentiment from Frantic Stamper's Baby Party Stamps. Here is the challenge color scheme. You can use the photo for inspiration but you don't have to, as long as you use the provided color scheme. I hope you'll join us this week for the Cupcake Inspirations Challenge #398! Thanks for stopping by! 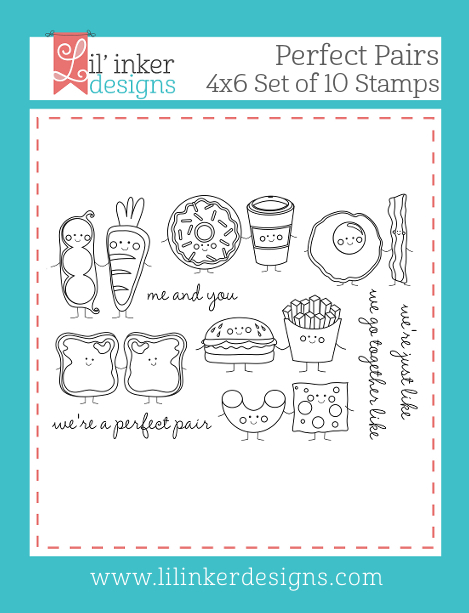 Frantic Stamper has a new release out and the theme is baby (with a few other elements thrown in!). I love the little Mom & Baby Elephants dies! I die cut them with a few different patterns to mix and match. I adhered them to a panel that I had die cut with one of my favorite dies from Frantic Stamper called Elementals #14: Square Basics. That die cuts the scalloped border and the inside stitched square. 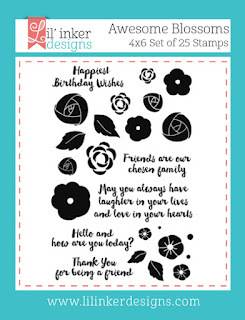 I chose three different ink colors and stamped the watercolor brush strokes with the Paintbrush Strokes stamp set. The little hearts that are between the elephants are left over pieces after diecuting the elephants ears. 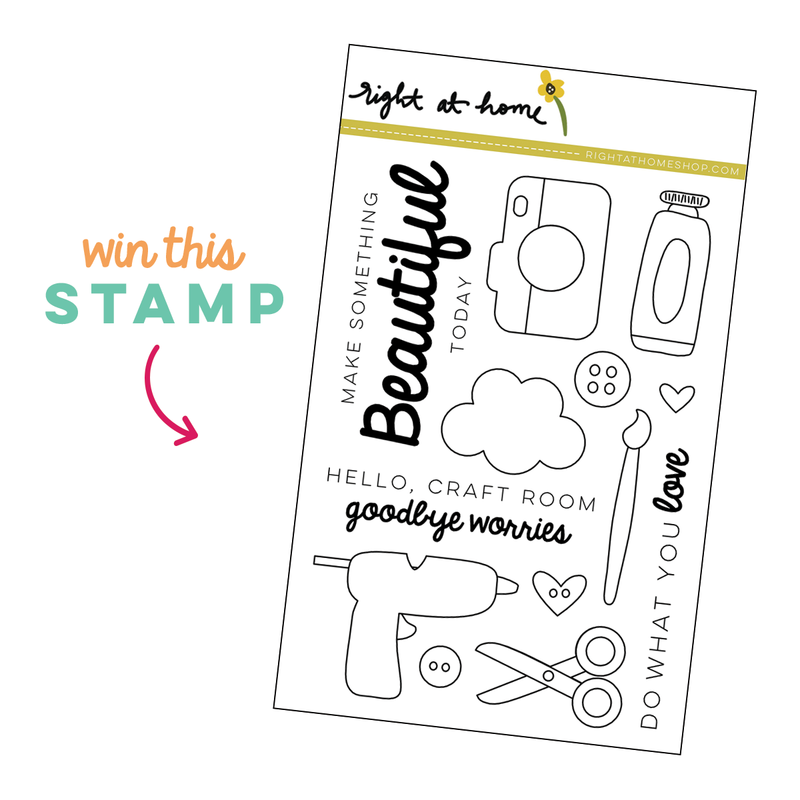 Lastly I stamped the sentiment from the new Welcome Baby stamp set. 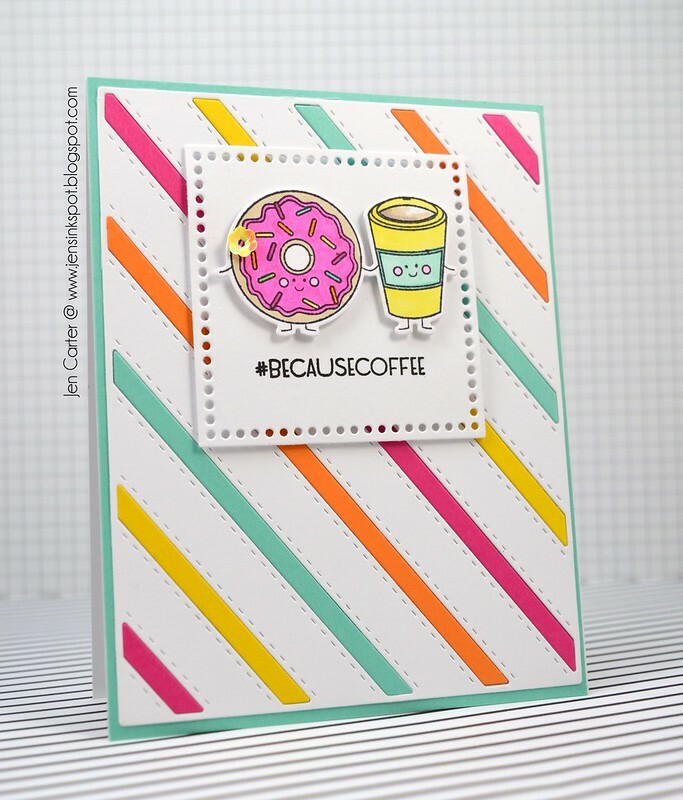 If you watched the video I created for Lil' Inker Designs's new Color Blocking die then you probably recognize this card as one I showed on there. 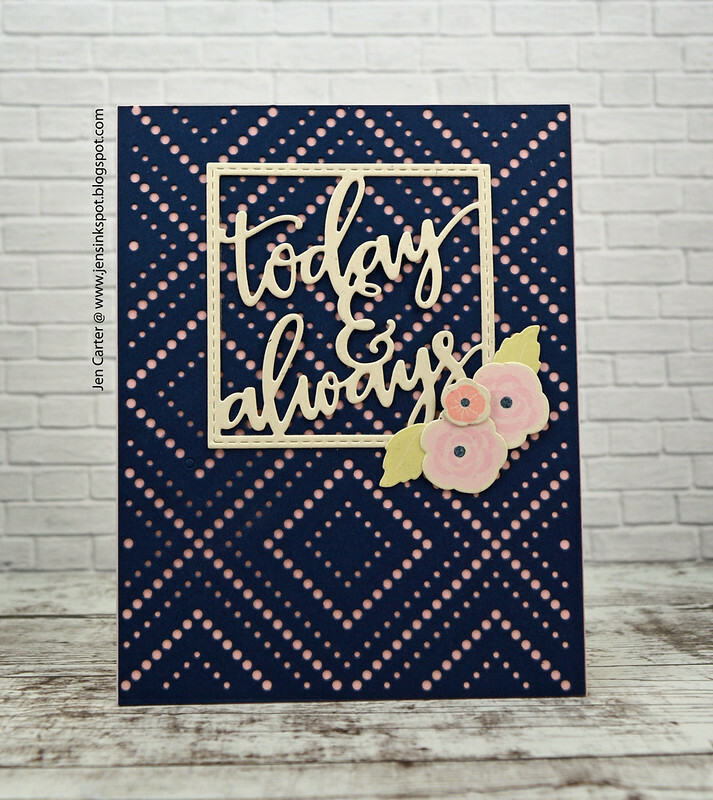 I explained in the video how I put this card together so you can check it out for some tips on how to easily line up the angle with this wonderful Cover Up Die: Diamond Lace background. I also made a picture tutorial on this post HERE. 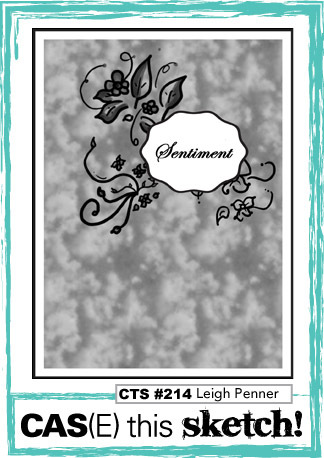 The sentiments both come from the Rustic Spring stamp and die set. The paper is darling isn't it? It is from the Pink Paislee Oh My Heart paper pad. Thank you so much for visiting today! I hope you enjoyed this springy card! Hello! Today's card has me dreaming of Spring! 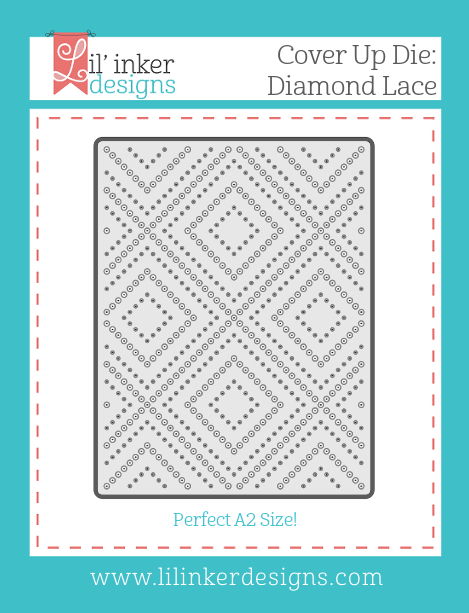 I started by creating my framed border using Frantic Stamper's Scalloped Rectangles Basic die. 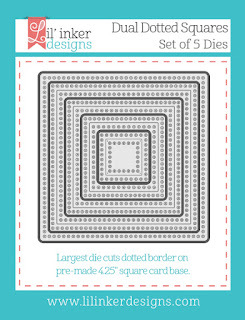 I then die cut two of the Nested Tags #2 die, one in kraft and one in mint green. I built the rest of my card on those two tags. The leaves come from a trendy die called Assorted Foliage that I can see using for many projects! I then die cut the Lacey Blooms 1 flower and paper pieced the different colors inside of it. That "gorgeous" die (don't you love the font?!) was die cut from gold glitter paper with the Lovely & Gorgeous word die. I did cut it down slightly so that it would fit better on my tag. To finish the tag off, I added a button and some beautiful emerald twine from Garn & Mehr.